On April 17, the 15th China International Machine Tool Show(CIMT2017) opens in Beijing China International Exhibition Center (New Venue).CIMT2017 will undoubtedly become the world's most influential machine toolindustry exhibition in the first half of this year. It will also play anirreplaceable positive role in activating the market, promoting exchanges &cooperation, and promoting industrial progress. At 10 o'clock in the morning, in the South Entrance Hallof CIEC (New Venue), CMTBA held a grand but simple opening ceremony. 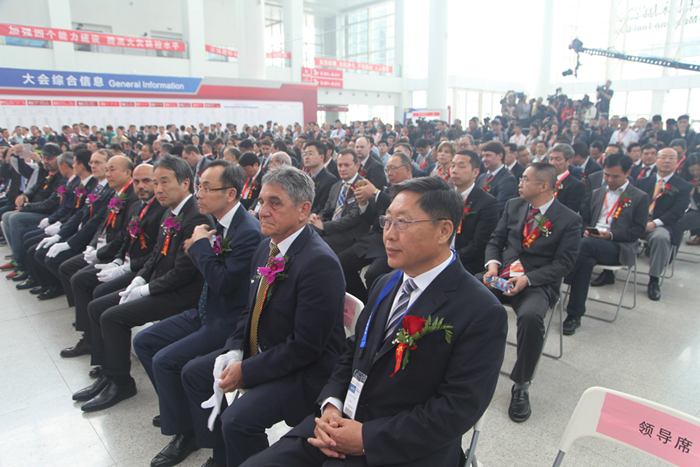 Theopening ceremony was presided by Mr. Wang Liming, Executive Vice President ofCMTBA. Mr. Chen Huiren, President & CEO of CMTBA gave a speech. Responsiblepersons of Machine Tool Industry Association and related industry organizationsfrom Italy, Germany, Japan, the United States, China Taiwan, Switzerland,Korea, Spain, India, Britain, Czech Republic, France, Russia, Austria, Argentinaand other countries and regions participate in today's opening ceremony.Leaders and representatives of the relevant government departments and domesticindustry organizations are: Mr. Zeng Xianlin, Minister of Former Ministry ofLight Industry of the people’s republic of China. Mr. Shen Lichu, Vice Ministerof Former Ministry of Machinery Industry of the people’s republic of China. Mr.Long Hongshan Chief Engineer of State Administration of Science, Technology andIndustry for National Defense. Leaders from ministry of industry andinformation technology of the people’s republic of China and leaders fromministry of commerce of the people’s republic of China also attend the openingceremony. Mr. Wang Ruixiang, Chairman of China Machinery Industry Federation.Mr. Zhou Wusheng, President of China Association of Peaceful of User ofMilitary Industrial Technology. Mr. Yin Linbo, Deputy Director of HunanEconomic and Information Technology Commission. Mr. Ma Tianyi, Director ofEquipment Department of Hunan Economic and Information Technology Commission.Mr. Yu Chunhua, Mayor of the People’s Government of MaAnShan. Mr. Hu Chunhua, Secretaryof Bowang district party committee of MaAnShan. Mr. Zou Meishui, Deputy Mayorof the People’s Government of Tengzhou. Mr. Wang Yinde, Director General ofTengzhou Bureau of Economic and Information Technology participated in theopening ceremony. After Mr. Long Xingyuan, On-duty Rotating Chairman of CMTBA,President of Qinchuan Machine Tool & Tool Groupand other 17 distinguished guests cut the ribbon (specific list attached).CIMT2017 officially opens. 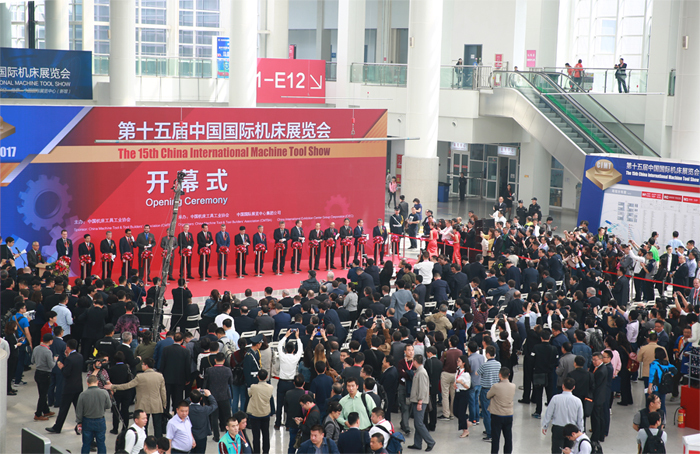 China International Machine Tool Show (CIMT), since itsestablishment in 1989, with elaborate cultivation of China Machine Tool &Tool Builders Association, and joint efforts of the partners and colleagues,the scale is growing and brand status is rising. 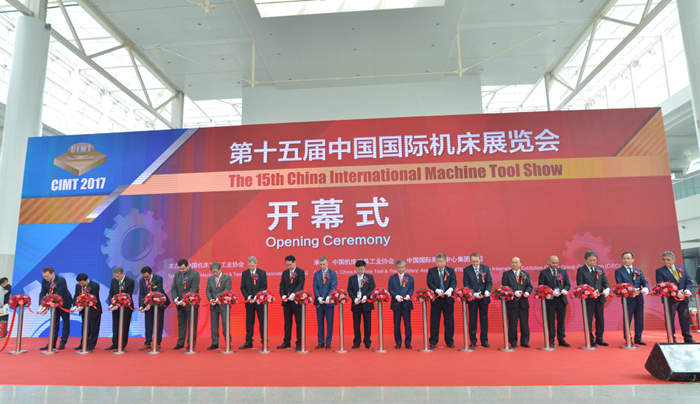 It has become one of the fourfamous and most influential exhibitions in the world's machine tool industry.The exhibition is not only a showcase of the world's advanced manufacturingtechnology and machine tool products event, but also an important platform ofpromotion of Chinese and foreign technical exchanges and China's technologicalprogress. It is also the best window of the world's machine tool market demandchanges. The theme of CIMT2017 is “New demand, New supply, NewMomentum”. This theme fully fits the main development direction of supply sidestructure reform pointed out by Chinese government during the 13th five-yearplan. As we know, China machine tool industry market is experiencingcomprehensive and profound changes. The major feature of the changes is therapid upgrading of demand structure. Automation sets, customization and generalshift upgrade have become the main direction of structure upgrade of marketdemand. In order to adapt to the market demand changes, machine tool & toolmanufacturers must proceed with the supply side, and provide customers withsatisfying products, technology and service model to obtain new developmentmomentum through adjustment and transformation. 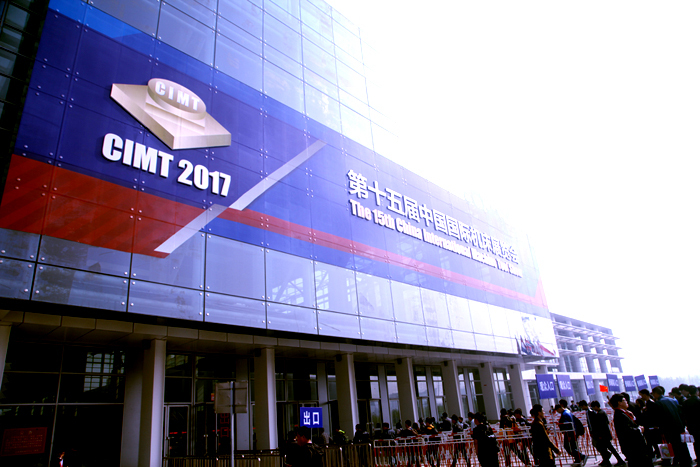 The total area of CIMT2017 is 131,000 square meters, thesame as the previous session. Domestic exhibitors and overseas ones each takeup about 50% of the total exhibition area. The exhibition has attracted 1639exhibitors from 27 countries and regions to participate, increasing by 5.5%over the previous session. There are 800 domestic exhibitors and 839 overseasones. There are industry organizations and trade promotion originations from 12countries and regions such as Germany, the United States, Switzerland, andJapan have organized pavilion. Nearly all global leading manufacturers inmachine tool & tool industry will make a stage pose at CIMT2017. Numerousnewest products with “China Debut” “Asia Debut” and “World Debut” will not onlyattract visitors to see all of them, but also provide purchasers with thewidest range of choices. This exhibition is surely a high-level boutique feast. From the latest statistics, the level, kinds and scale ofexhibits have reached a new height. Thousands of exhibits in CIMT2017 includemachine tool, functional parts, CNC systems, measurers & Instruction,machine tool electronics, and tool, accessories, etc. Among them, there ismetal cutting, metal forming, gear machining, special machining, etc. Visitorscould experience the following four aspects in CIMT2017. First, digitalmanufacturing and solution. Second, intelligent technology. Third, highefficiency and automation. Fourth, Professionalism. For a smooth CIMT2017, the organizer has made efforts toimprove the service and management, and enrich the contents of the exhibition. CIMT2017is not only the platform of display and trade of the latest products andtechnologies, but also the platform of idea and information sharing and exchange.In order to meet the multi-level needs of participating organizations andexhibitors, the organizer of CIMT has elaborately planed and prepared nearly100 various technical seminars and colorful activities such as InternationalCEO Forum, and International Conference on Advanced Manufacturing Technology. Nodoubt, these arrangements will further enrich and enhance the participants’harvest and experience.